Can Shopping Become an Addiction? Addiction is any habit that you continue to do even though it brings harmful consequences to you. The brain changes chemically and physiologically when a person has an addiction. When an individual has an addiction to drugs or alcohol, his or her brain loses the ability to control the normal functions of their body. The individual becomes physically dependent on the drugs or alcohol and goes through painful withdrawals without continued use of them. Is impulsive buying the same as compulsive buying? Impulsive buying is different from compulsive shopping. Renee Morad wrote for the Huffington Post, “when your purchases shift from impulsive to compulsive, it’s the first sign that you might be grappling with a more serious condition: a shopping addiction.” The compulsive shopper becomes psychologically dependent on thoughts of shopping and gets an intense pleasurable feeling from buying. A person with bipolar can go through manic episodes and experience compulsive buying behavior. This happens because the person is unable to control his or her desire to shop. 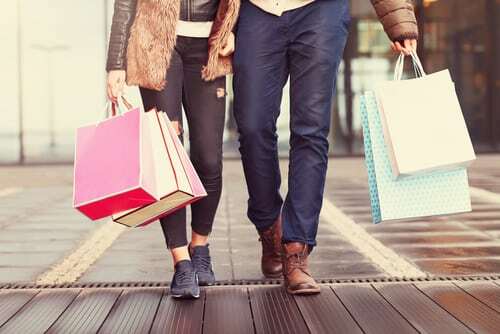 An individual compulsively shops to relieve symptoms of stress and anxiety or other mental health problems such as obsessive-compulsive disorder (OCD). The person’s brain might feel a slight reward that makes him or her shop repeatedly for the similar effect. The compulsive buyer cannot control his or her ability to stop buying. Relationships, his or her career, and finances are affected and the shopper’s spending causes debt, disorder, and chaos. When a person with a shopping addiction shops an excess amount of dopamine is released in the brain. The shopper feels ecstatic from the release of dopamine and is actually high, even without drugs or alcohol. The feeling does not last long and the compulsive shopper continues the destructive cycle of spending. The Internet makes shopping convenient, but this easy access is harmful to a person with a shopping addiction and can certainly make recovery more challenging. Recovery from a shopping addiction is possible.